These fancy paper plates trimmed in a scalloped edge and elegant embossed detail are perfect for that special event in your calendar! 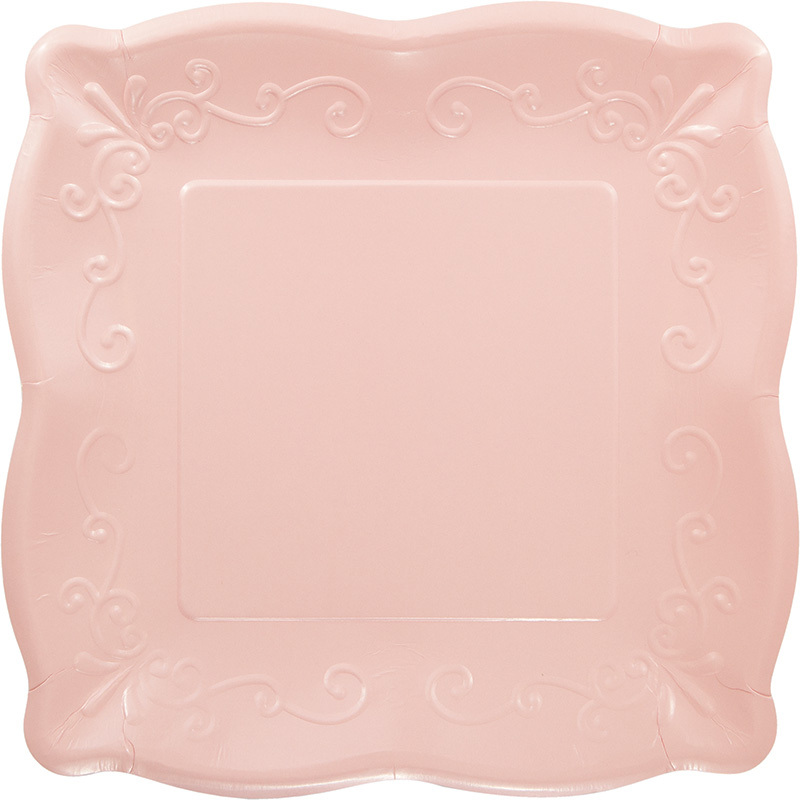 Solid light pink dinner paper plates inspired by fine pottery with the convenience of paper ware. A beautiful shape to complement your stylish decor! Use them for Weddings, Elegant dinner parties or Buffets! Need large quantities? Email us at customerservice@modernlola.com and we will place an order just for you!